This is the F1 car that Niki Lauda drove on his way to the 1984 F1 Driver’s and Constructor’s championship — winning half-a-point over rookie teammate Alain Prost. 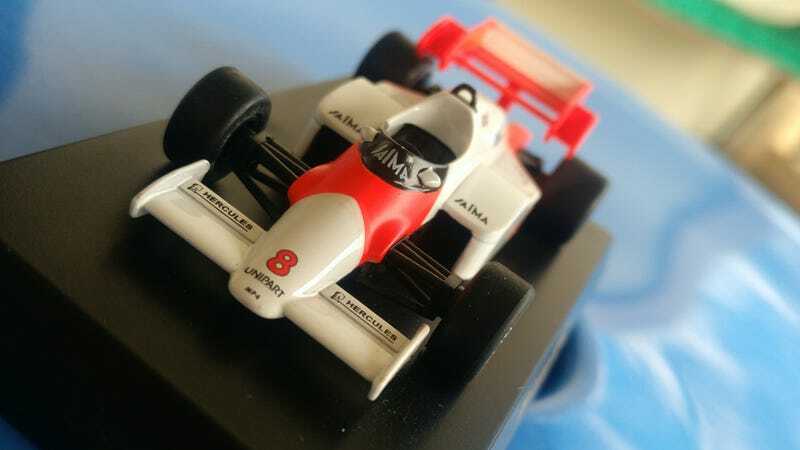 The car has been beautifully recreated by Kyosho in their McLaren F1 blindbox series. However, as you can see — there’s something missing; the sponsor of that signature paintjob! The engines are actually rebadged Twin Turbo, V6 Porsche engines.